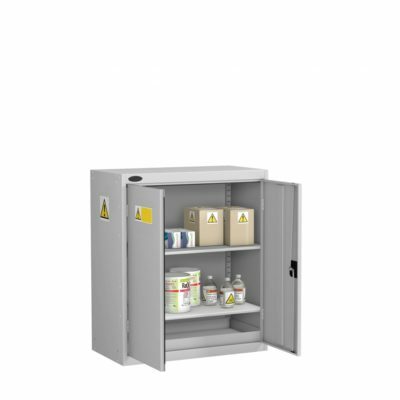 Self write labels are supplied for you to personalise your particular hazard. 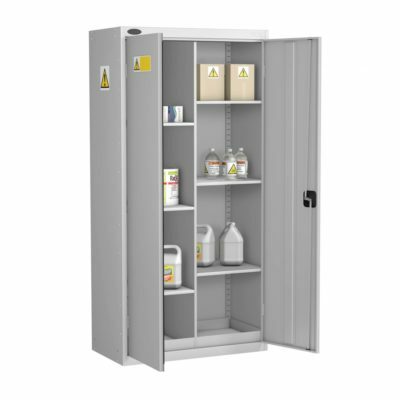 Cabinets will arrive in silver and have a strong, robust & secure construction as well as being designed to comply with COSHH regulations. 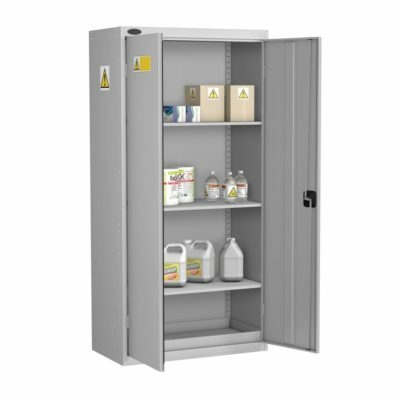 All cabinets feature adjustable shelves & additional shelves can be purchased, please contact us for prices. 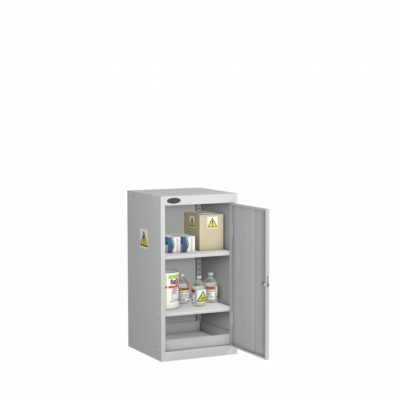 Two point locking on double door cabinets and a removable 75 mm sealed sump base tray along with high visibility 270 degree labeling complying to BS5609.